In this lab we are putting our engineering caps back on to design cars fit for the Speedway! Our lab book includes instructions on how to make different types of cars, from gravity powered, to wind powered, and even a rubber band car! 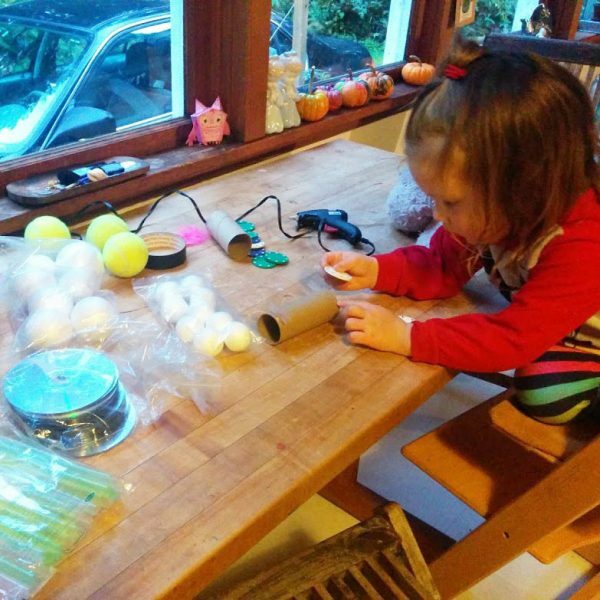 We also have tons of fun add-on activities to help kids dig deeper to find just the right level for them. 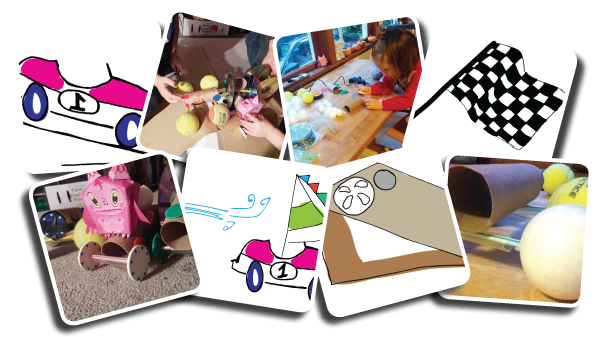 Racer profile interviews for your writer, custom winner ribbons for your artist and wheel testing for your die hard engineer! 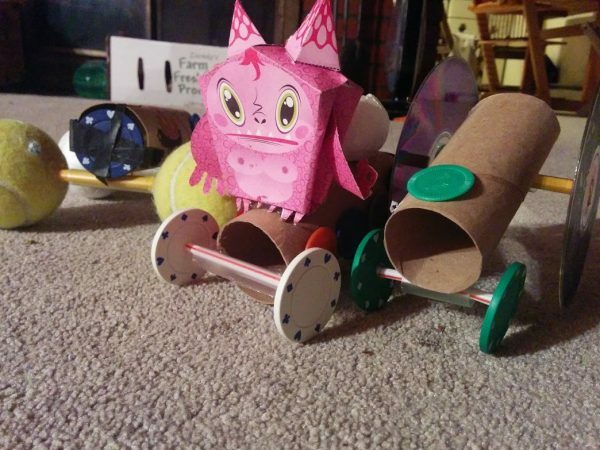 Rosie just got invited by NASCAR to reinvent their race cars. Everything is up for change, from the types of wheels to the shape of the body – but can she, and you, design a car that is worthy of the Indy 500? 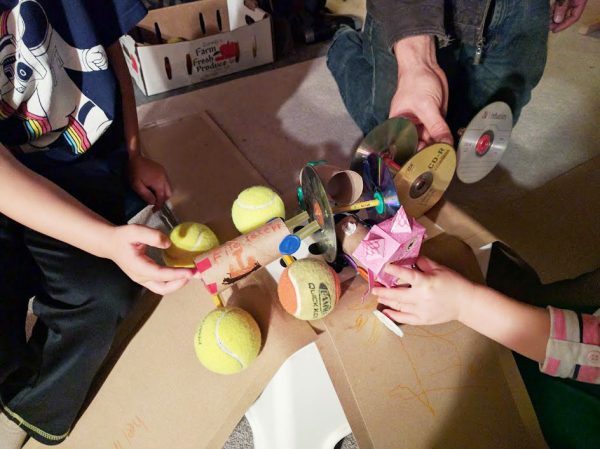 We will look at how different objects roll faster or slower depending on their size, weight, and shape, and then put on our engineering hats to create our own cards from recycled items around the house! 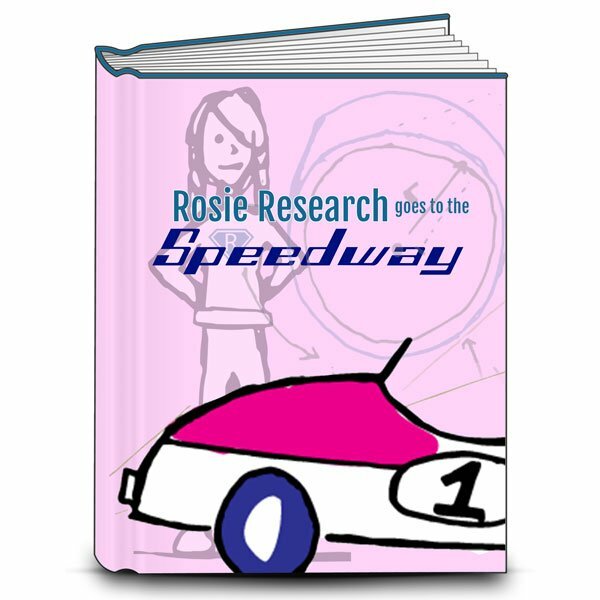 There is one lab book for our Speedway visit and lots of add on activities to help scale it to your child’s age and interest! Tabloid versions of the labs are available if you want to print the labs on 11×17 paper to make each lab into it’s own folder. We also have half page sized labs to print on 8.5×11 and fold into a booklet – a format my six year old enjoyed more than the full sized format! Racer profile: hone in on writing skills as you fill out a racer profile with ESPN interview questions, a results chart and more! The Wheel Deal: Test different types of wheels to determine what wheel rolls the fastest. Will it be a ball, cylinder, or something else? Winner ribbon: Create a winners ribbon for your racer! What type of race did you win? Was your car best suited to speed, wind, or overcoming rocky terrain? Evil Kineavil: Make a car that survives a jump! What new design and engineering problems do you need to think about? 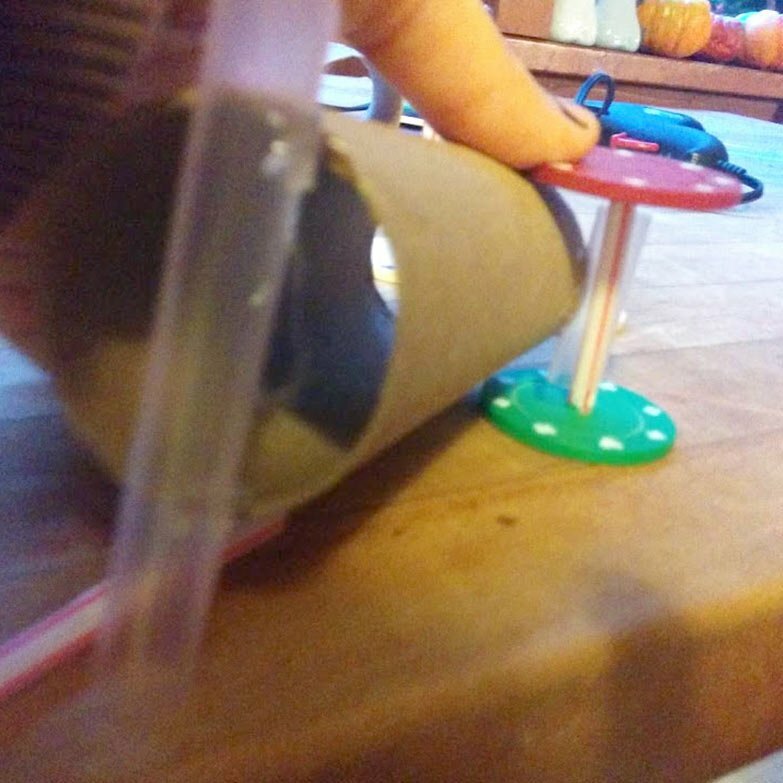 Wind Power: Create a wind powered car and race them using a fan! 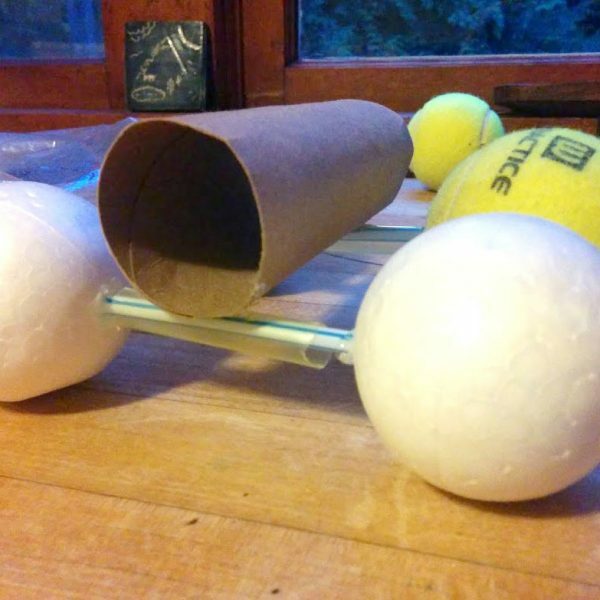 Rubber band car: Make a rubber band car that doesn’t need wind or gravity to go! Is it faster than the other cars designed? The scaling guides will help you think of ways to expand on the concepts in age appropriate activities, while the sourcing guides will help you find everything we bought for the lab! This lab doesn’t need much though, a Cornish hen and lots of salt, baking soda, and time! Lastly there is our In Real Life download. This download will help you connect the concepts we work with in the labs to everyday life. It will help you guide your kids to understanding why osmosis is important and what the big takeaway of the lab is as well as safety precautions! Learn how we can carbon date live animals, and how some bacteria use osmosis to their advantage (and our demise)!